After Swansea City’s 3-3 battling draw at home against Birmingham City on Tuesday night, manager Graham Potter revealed afterwards that striker Wilfried Bony was on a plane to complete a loan move. Destination – Qatari club Al-Arabi. The club have been desperately trying to get his big wages off the payroll for some time now and it looks like that’s finally happened but it’s not yet been confirmed yet as to whether or not his new club will be paying his full wages or a percentage. 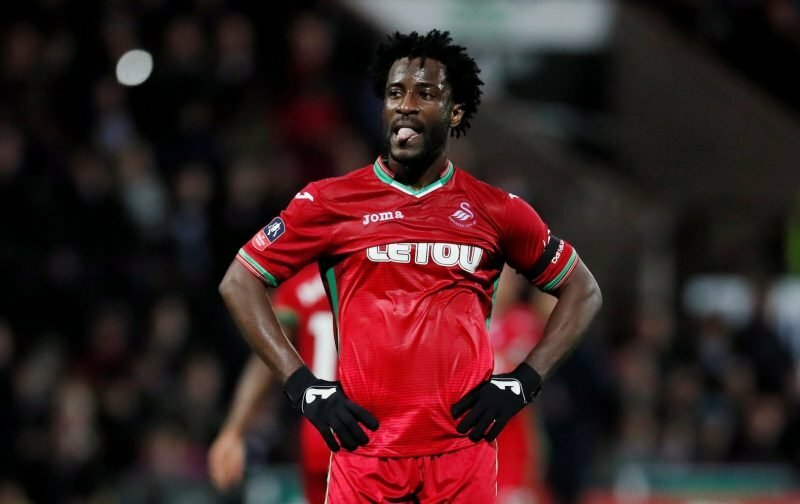 TRANSFER NEWS:#Swans manager Graham Potter says a deal for Wilfried Bony to move to a Qatar based team is close. I understand he’s flying out tonight. Dan James & Leroy Fer are “important players for the club”. Potter describes transfer reports as “just speculation”. Wilfried Bony on a plane to Qatar right now, according to Graham Potter. Loan move from Swansea to Al-Arabi edging closer. Bony is widely believed to be on around £100,000 a week. That equates to £2.4m if the Swans were to keep him until his contract expires in June so you can easily see why we really need to release his wages on to another club. We just hope now that Al-Arabi are prepared to take on the full payments.